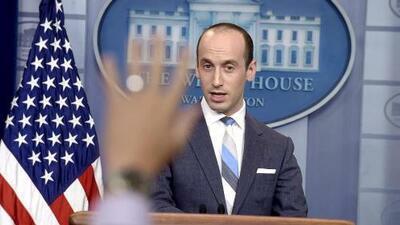 How much was Miller’s anti-immigrant sentiment fueled by his inability to fit into his diverse childhood environment growing up in Santa Monica? Maybe it was too much for decidedly uncool kid born into this chill beach vibe. The boardwalk at Venice Beach in Los Angeles is many things, but it’s not where I expected to have a troubling insight into the Trump Administration’s meanspirited immigration policies. As I walked among the pierced and tattooed denizens of this gritty, skater punk, mash-up of touristy kitch, several things struck me. First, I reflected that weather really does matter. The endless summer sun, low humidity, vast beaches and open spaces of California’s coast seems to make people want to take their clothes off. This is not a comfortable place for those with body horror. Even the many homeless or those who just need a good shower seem to have blond hair and tobacco tanned skin. Second, as a retired ambassador recently returned home to the United States, I found Venice Beach a microcosm of American diversity on steroids. On a weekday morning, when most people in my world are typically at work, I conversed with tourists from all over the United States. I met third generation Mexicans with awesome food trucks and poor Spanish, and a Russian juggler who had come to the U.S. on a student visa, married an American woman, secured a permanent visa, and then started drinking heavily when she left him. Now he juggles. Africans and African-Americans danced on roller skates, while others played wicked games of beachside basketball. White men still can’t jump, I thought watching a dunk contest. I heard French, Chinese, Spanish, Portuguese and English form a Babel’s Tower of easy conversation, as visitors bartered for junk art, jewelry, henna treatments and simply awful t-shirts. This is not my world, but I am happy it exists. Like Key West, the Las Vegas Strip and other Land’s End-type destinations, the full panoply of American permissive diversity is on display. Norman Rockwell, it ain’t, but it is my America, too. As I walked up the beach toward Santa Monica, leaving the scent of pot and patchouli behind, the beachscape gentrified. A bit cleaner, a lot more Caucasian, and decidedly less crowded, I saw the hometown of President Trump’s senior advisor Stephen Miller emerge. His uncle had just published a scathing indictment of his nephew, the architect of nativist immigration policies that would have precluded his own family’s arrival to the United States a century ago had they been in place. A scrawny, decidedly uncool kid born into this chill beach vibe was bound to have been bullied. Miller’s uncle bitingly remarked that the Santa Monica high school cafeteria was Stephen’s trial by fire. But I suspect that more than any teenage physical intimidation, Miller’s anti-immigrant sentiment was fueled by his inability to fit into a very diverse childhood environment. As surfers and skateboarders, break dancers and taco venders, Muscle Beach studs and bikini-clad girls converged around him, one can imagine a resentful, un-included Stephen Miller raging inside. To be clear, I am not remotely qualified to psychoanalyze Mr. Miller. I’ll leave that to his uncle, who is actually a retired neuropsychologist and a 3 rd generation product of immigration like me. However, as an Ambassador, reading a room is a key to success. As I read the room of Miller’s SoCal youth, I recalled that fear, shame and insecurity are often more powerful and pernicious motivators than man’s higher angels. Any man who blithely states that separating toddlers from asylum seeking parents is just “the result of a policy decision. Period.” must himself possess a deep vacuum of love and human solidarity. And that emptiness is very likely the result of emotional pain. I strongly suspect that Mr. Miller’s teen angst was forged by repeated social rejection in this off-kilter, hippie beach community. With bureaucratic ruthlessness, and yet no small measure of incompetence judging from the judiciary’s multiple rejections of the Trump Administration’s various executive orders, Mr. Miller continues to push an anti-immigrant agenda. Those non-assimilating Mexicans and Chinese, Russians and Africans who populate the boardwalk, chilling effortlessly with American beachgoers in Santa Monica and Venice have become the focus of Miller’s self-pitying ire. He has the President’s ear and will continue his pursuing agenda. But I predict that his hometown will remain a source of great frustration to him. And he certainly won’t be invited to the beach party these days, even though he currently works in the White House.